Virtually all branches of industry have been using welding processes in their metal assembly work for almost 100 years. Techniques and materials are improved every year in the search for increasingly high levels of efficiency. Despite using welding stations on the cutting edge of technology, the stage prior to welding, i.e. 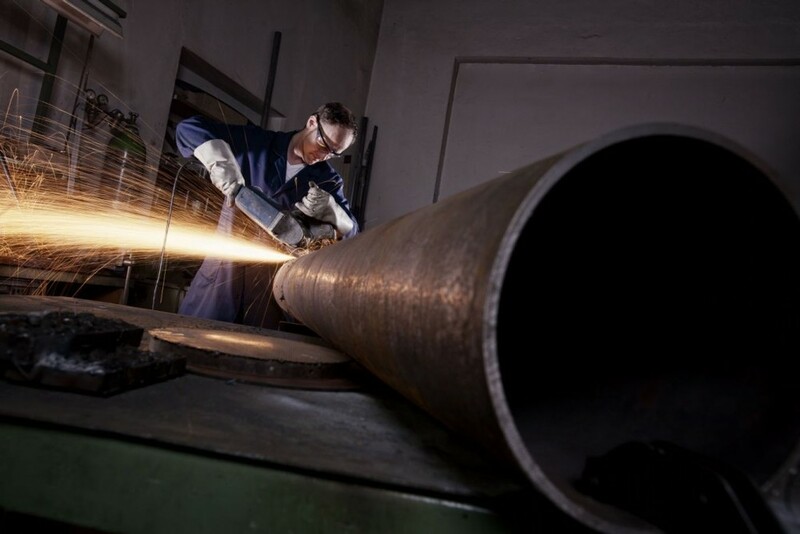 preparing the pipe ends to be welded together, is often neglected or done with inappropriate techniques. The result is that, amongst the numerous factors liable to affect welding quality, poor preparation is a recurrent cause. This article goes into detail on these defects and shows how correct preparation can reduce the risk of them occurring. Cracking is one of the most frequently observed defects in welding. It is due to excessive mechanical stress in the weld bead. The most common types of cracking are hot and cold cracking. As indicated by its name, this type of cracking appears when the metal is still hot and in the process of solidifying. The design of the weld assembly is one the factors that favor the appearance of this type of defect. This can be explained by the fact that the more the bevel is narrow, the greater will be the mechanical stress resulting from the metal solidifying. If this stress is too high, cracking is liable to occur during the change in phase. Therefore, it is important for bevel angles to be determined correctly. When the bevel is made by hand, it cannot be mastered totally accurately. For this reason, it is better to use suitable apparatus for machining edges, so that an accurate, constant bevel angle can be obtained. Cold cracks appear after welding (immediately, several hours or even several days later). This type of defect is caused by a simultaneous combination of three factors: a temper structure (hard and fragile), residual mechanical stress (related to clamping for example) and the presence of diffusible hydrogen in the weld bead. This last factor may be related to poor preparation of the edges. It must be remembered that, when welding is done on a rusty or poorly degreased part, the hydrogen present in the rust or the hydrocarbons will decompose in the weld. Stresses will then appear on the atomic scale when the metal is cooling down. If ever this concentration of stresses becomes too high, the metal will crack. 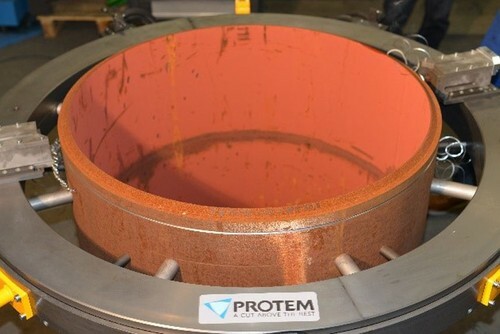 When accompanied by other precautions such as drying the electrodes in ovens or preheating parts to be welded, dry machining the joint edges will enable will enable welding to be done on hydrogen-free material and, in this way, reduce the probability of cold cracking. Besides favoring cold cracking, a poorly prepared surface can also be the cause of blowholes appearing in the weld. This can be explained by the fact that the presence of water, rust or greasy substances on the part will lead to the formation of gas bubbles liable to be trapped inside the bead. As is the case in cold cracking, the right type of machining (dry) of the end to be welded will lead to a significant reduction in the probability of this type of defect appearing. Wird ein Werkstück vor dem Schweißen bearbeitet, muss unbedingt sichergestellt werden, dass die verwendeten Spannbacken und Schneidwerkzeuge für die Bearbeitung vonhochlegiertem Chrom-Nickel-Stahl geeignet sind (zum Beispiel Spannbacken aus diesem Werkstoff) und vorher nicht für die Bearbeitung von unlegiertem Stahl verwendet wurden (oder in diesem Fall anschließend gründlich gereinigt wurden). Iron contaminations concerns stainless steels. Whenever this type of steel finds itself in contact with iron particles and an electricity conducting medium (damp air for example), a galvanic corrosion mechanism comes into being. As a result, the passive layer of stainless steel will deteriorate progressively and risks of pitting are then liable to occur. Shaping equipment: Presses, bending machines, etc. Cleaning equipment: Metal brushes, cleaning rags that have been used on carbon steel, etc. Machining equipment: Cutting and beveling tools, clamping jaws, etc. This type of contamination may also come from grinding operations carried out on carbon steel in the vicinity of the stainless steel parts. In the context of a part that has been machined before welding, it is primordial that a check be made to ensure that the clamping jaws and cutting tools used are compatible with stainless steel machining operations (jaws in stainless steel or light alloy for example) and that they have not been used for working on carbon steel beforehand (or that they have been decontaminated since). Incomplete penetration is normally characterized by a non-melted zone at the root of the weld. Excess penetration corresponds to a surplus of molten metal at the base of the welded joint. These two defects are caused by poor welding parameters (intensity, voltage, welding speed) but also by the clearance between the parts or poorly controlled land thickness. Too little clearance will give rise to incomplete penetration, whereas too much clearance is liable to cause excess penetration. In certain cases, this type of defect is not systematically eliminated by highly accurate positioning. If the parts to be welded are not perfectly parallel due to poor preparation, unequal clearance between the parts will be liable to give rise to localized points with excess or incomplete welding. Accurate facing of the ends enables one of the causes of this defect to be eliminated. Incomplete or excess penetration may also be caused by a bevel with a land thickness that is not compatible with welding parameters. These parameters are determined beforehand depending on the material to be welded, the geometry of the welded joint and the welding process used. However, correctly mastering the welding parameters does not mean that a penetration defect can be totally avoided. Variable land thickness due to poor preparation may also deteriorate the quality of the welded joint. For example: parameters that are correct for a land 1.5mm thick may lead to excess penetration if the land is only 0.5mm thick or incomplete penetration on a land 2.5 mm thick. 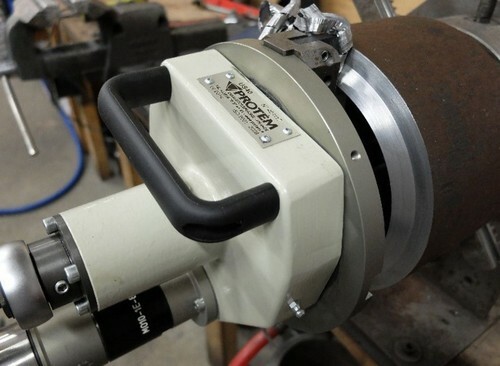 Mastering this thickness, by carrying out an internal counter-boring operation or profile tracking on pipes that are out-of-round will increase the final quality of the weld. Good preparation for guaranteeing constant clearance or an even land is primordial whenever automated processes are used such as TIG orbital or MIG robot welding. In these cases, welding is done without any human intervention and any alignment defects cannot be corrected by the machine. This would not be the case with an experienced welder. Lack of fusion, also called cold-lapping, is characterized by a non-molten contact zone between the filler metal and the base metal. Once again, poor preparation of the contact surfaces is one of the causes of this defect. With a bevel that is too thin compared with the diameter of the electrode, the arc may be attracted by one of the walls. As a result, fusion occurs on one of the edges and the bevel is filled with molten metal. However, as the arc has not directly reached the root (or the previous pass) and the other side of the bevel, the zones in question are not melted but just covered by an extra layer of filler metal. The weld may appear to be good, but, in fact, the metallurgical continuity required when assembling by a welding process is not achieved. As these defects are generally located inside the welded joint, they can rarely be seen by the naked eye and require the use of special control techniques such as ultrasound or radiography. 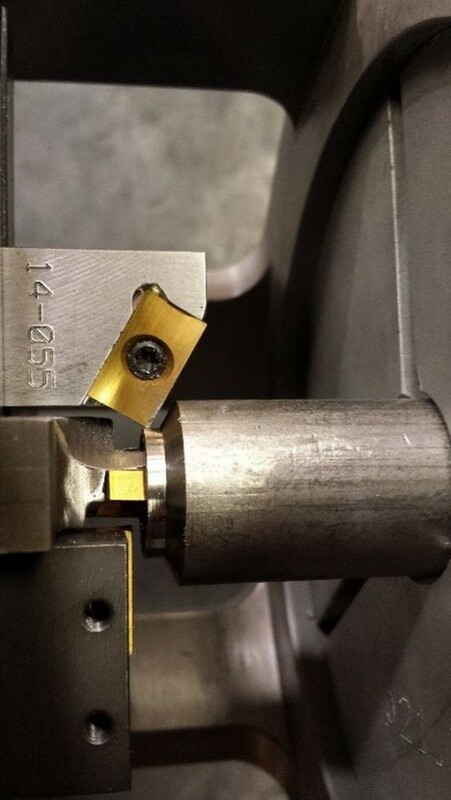 Proper determination of the bevel angle and accurate machining at a constant angle reduce cold-lapping risks. Two techniques are generally used for cutting metallic parts. Cutting by heat (torch, plasma, Laser, etc.) and cutting by mechanical machining (grinding-wheels, saws, orbital cutting machines, etc.). The consequences of inaccurate preparation related to the use of machining solutions such as grinding-wheels and saws have been explained in detail above. When cutting by heat, the quality of the cut may prove to be satisfactory when made by an experienced operator or with the help of an automated system. However, in the majority of cases, these techniques create a heat-affected zone close to the cutting point. The physical characteristics of the material are significantly changed in this zone. If a weld is made directly on deteriorated material, the quality of the weld and its mechanical resistance could well be compromised. Therefore, to be able to guarantee the final quality of the weld, the area in question will necessarily need to be re-machined for eliminating the heat-affected zone. 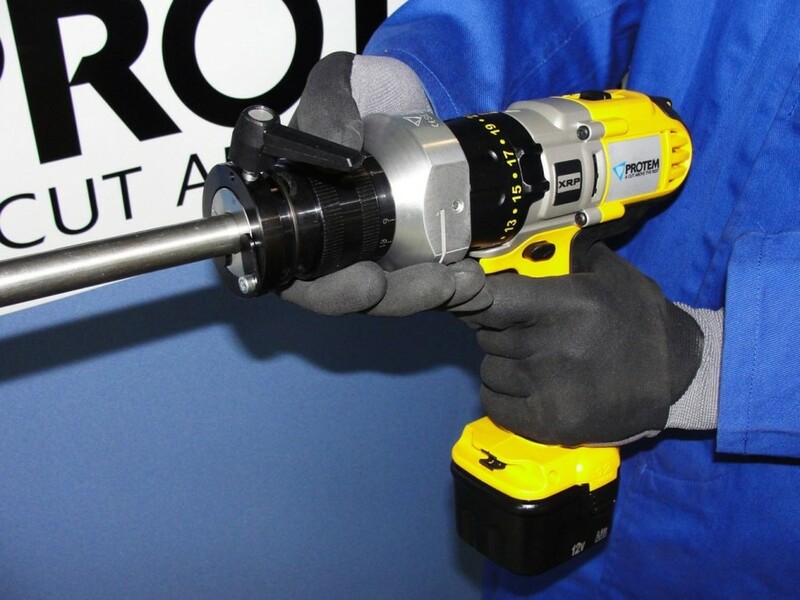 Using orbital machines eliminates the accuracy problems related to using grinding-wheels or saws and the constraints caused by heat-affected zones related to cutting by applying heat. Cutting and beveling can be done in a single operation with this type of equipment, without any heat-affected zones and with optimal, consistent high quality. High density energy source processes concern laser and electron beam welding Both these processes use a beam (a laser or electron bombardment) accurately focused to make the energy that is aimed at the part to be welded melt the metal. Using these techniques, welding can be done over depths of several hundred millimeters in a single pass and with a bead that is rarely more than 5mm wide. Assemblies welded in this way do not require bevels but extremely accurate facing on part ends. For example, preparation for laser welding will be acceptable if the alignment fault is less than 1/10th of a millimeter. Moreover, parts must be totally free of any contamination for using these technologies successfully, especially electron beam welding. 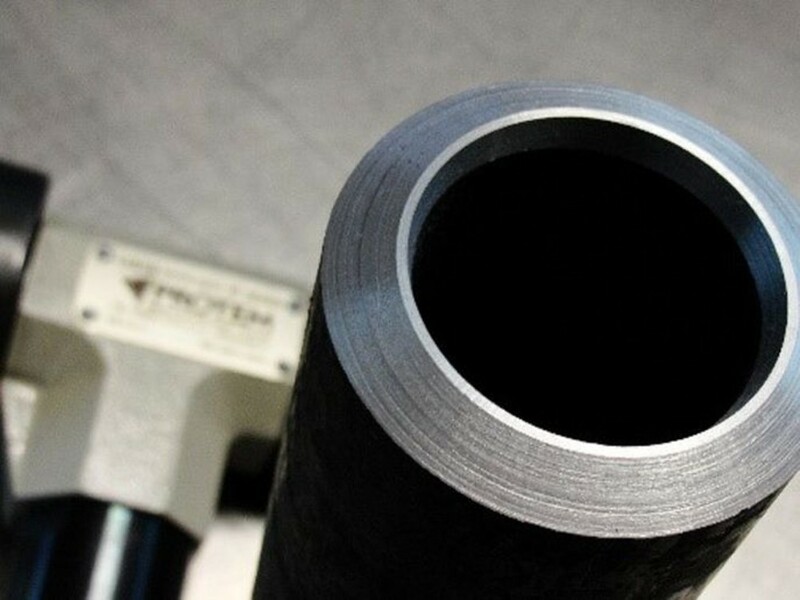 As electron beam welding operations are carried out under vacuum conditions, no water or hydrocarbon residues must be allowed to enter the chamber as their presence is liable to make creating a vacuum a more delicate task. Using these ultra hi-tech methods requires the presence of suitable machining equipment capable of perfectly preparing the ends to be welded. Welding is always a delicate operation. A large number of parameters have to be known and mastered for obtaining the best-possible results. Otherwise, they are all as many defect causing factors liable to occur during or after completing the welding bead and which may deteriorate the quality of the total assembly. Despite upgrading techniques and increased knowledge on the subject, industrialists are regularly confronted by problems involving non-conform welded joints. The consequences of a poor weld can be disastrous for the success of a project, in terms of both schedules and budgets. Eliminating a welding bead and re-building it may take several hours or even several days in the case of major assemblies. Correctly preparing the edges to be welded will never prevent 100% of all the reasons for defects from occurring, but it will increase the final quality of the welded assembly in every single case.